This is a 4 day residential workshop focused on the major shamanic themes and activities of Bear Medicine. In all shamanic cultures of the Northern Hemisphere, "GreatGrandMother" is considered to be the Supreme Healer and Wisdom-Keeper. She is called many names, most of which refer to some aspect of her unique healing powers. Contemporary people call her "Bear" when she wears her Earthly clothing and "BearSpirit" in her ephemeral forms. She is unique in this universal aspect of Healer. There are, of course, many other Animal Powers and Spirit Helpers who assist the shaman practitioner in doing healing activities. However, She alone is considered the essential teacher and guardian of healing ways. Although a shamanic apprentice may eventually work with some other Power Ally (e.g. Deer, Wolf, Eagle), every apprentice is required to have basic knowledge regarding the Medicine of Bear. In some cultures the word for "Bear" and the word for "Doctor" are the same (e.g. Lakota & Pueblo). 4) Her Spirit appearing during the birthing of infants and Her Spirit appearing to accompany the soul of humans as they were crossing from their Earthly home to Elsewhere. Thus Bear protected the infant soul in its journey to Earth; and Bear ensured the soul's safe journey to the Afterworld when someone died. In cases of natural disasters (e.g. Earthquakes, floods) in which many died, Bear Doctors throughout the Land came to the ravaged village to help the 'traumatized' souls move to the other world so that they would not linger on Earth and possibly haunt or trouble the surviving people. 4) Merge with Bear  this was essential to understanding Bear Medicine. It’s important to know how to "be Bear." A great deal of practice and discipline is required learning this and it is taken quite seriously as one is working with the most power-full of Spirits. 5) Explore fully one or two healing methods (. e.g. soul retrieval, extraction, song-doctoring) so that we understand both the principles and the practice of these healing modalities. 6) Access Spirits through our DreamWorld - BearDoctors were sometimes referred to as 'BearDreamers' and many Native American tribes still have their BearDreamer Clans. Dreams are considered a source of guidance, healing, and wisdom. We shall explore how the DreamSpirits move through each of us. 7) Medicine kits or pouches  BearHealers always have some type of "kit" or pouch, containing items used in both healing and for protection. What is to go into our individual ‘kit’ or pouch? We shall learn about this so we will be able to make our own pouch or kit when we return home. 8) GrandMother says "speak of me, share my stories for therein is my healing made manifest too." We will explore the meaning of two or three of the ancient stories teaching of MedicineBear. Participants should bring rattle, drum, journal, blindfold (to cover eyes while journeying), and any shamanic objects they may wish to use during the week (e.g. crystal, stone totem animal). This is a very intensive five day workshop. A few weeks prior to the workshop, a letter will be sent describing what spiritual preparations to make so that we are prepared to engage with this Medicine Way and in Circle together. Hideki Hamada is bringing a group of students from Japan whose primary purpose is to explore the deep shamanic roots that spread throughout the Northern Hemisphere, linking peoples of different cultures through their mutual respect for the Power and Medicine of the Bear. Hideki and Carol met nine years ago at Esalen and this is the first opportunity to work together. They are joined by Cheryl Miller who has practiced this medicine way for the last fifteen years. This retreat will take place in Santa Cruz County. This is a rare opportunity for the three faculty of this workshop to teach together. Hideki has been a devoted practitioner and teacher of shamanism in his country for several years. He leads a shamanic circle in Japan which has joined with other groups through Shamanic Circles.org and participated in the international gatherings. He and Carol have wanted to do a workshop here in the US for quite some time and were finally able to create this opportunity this year. All three faculty, Carol, Cheryl, and Hideki have worked together before. The shamanic thread linking both the faculty and their respective cultures is the Way of Bear. 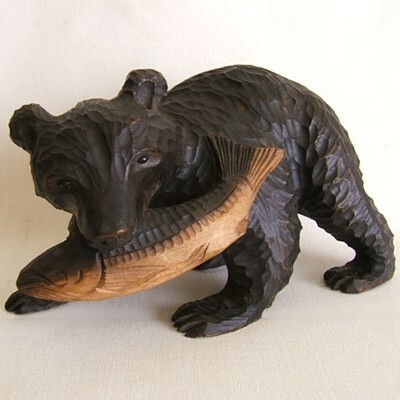 In parts of Japan, as well as the US, the study and honoring of the Bear has been considered essential in the practice of shamanism.